In the so-called dual beam depth profiling it is possible to optimise the analysis beam and the sputter beam independently and measure 3D chemical profiles. The 3D images show that the diffusion of Cr, Fe and Y is not homogenous throughout the whole sample. 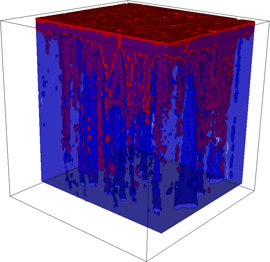 Post analysis data reconstruction allows for the separation of the different areas within the 3D image. Hence, different profiles from areas of fast and slow diffusion can be reconstructed to provide detailed information about the diffusion process. 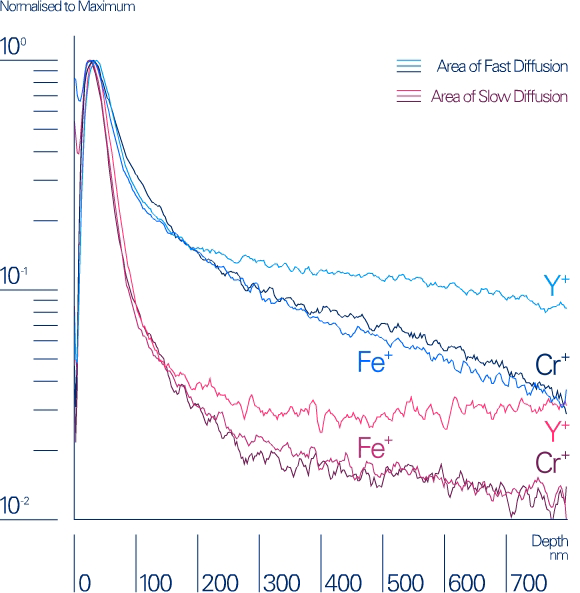 Reconstructed depth profiles from different regions of interested (ROI) showing the in-depth distribution of Cr, Fe and Y.